The dahlia flower can symbolize dignity and elegance as well as betrayal. But its contradictory meanings say a lot about how complicated love can truly be. 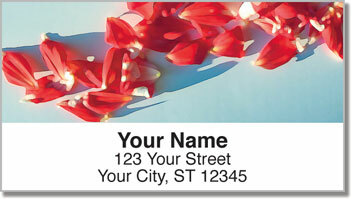 These striking return address labels do not display the star-shaped dahlia blossom, but rather a scattering of delicate petals. It could be what's left from a love-struck girl playing the age-old game of picking petals while reciting, "He loves me, he loves me not." 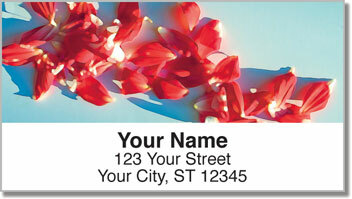 Dahlia Petal Address Labels are a great choice for hopeless romantics like you! They make a lovely finishing touch to every letter and package. Plus, you'll save a ton of time preparing outgoing mail when you eliminate the need to fill out envelopes completely by hand. 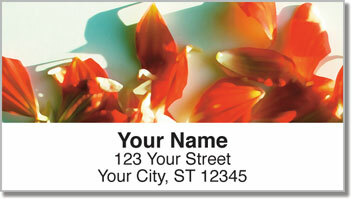 Get your own Dahlia Petal Address Labels from CheckAdvantage today! 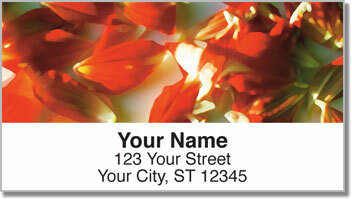 They're also available in a matching personal check design.